NEWPORT BEACH — Homeowners with docks — and boats — stuck in the sand may eventually find it easier to dredge under their private docks, following the Newport Beach City Council’s approval of funding to jump start the initial stages of acquisition for the 2014 Regional General Permit (RGP). The council approved $100,000 in funding for the selection of a consultant, who will develop a sampling and analysis plan for sediment testing and permit submittals. The work will be completed during the remainder of this fiscal year, according to staff reports. The current RGP (RGP-54) expires in March 2014. The city council approved the fund appropriation after listening to a presentation by the city’s Harbor Commission Dredging Subcommittee last month. The three-member committee — composed of Brad Avery, Duncan McIntosh and Doug West — recommended increasing the dredge depth to -10 feet plus 1 foot; increasing the per-address volume of permitted dredged material to 10,000 cubic yards; and increasing the annual harbor limit to 150,000 cubic yards of dredged material. A key provision of the current permit — one that restricts dredging within 15 feet of eelgrass — has kept many boats in their slips. Currently, the permit allows property owners to dredge limited quantities of accumulated sediment from under their docks — a maximum of 1,000 cubic yards per address and a maximum of 20,000 cubic yards for the entire harbor — with dredging permitted to -7 Mean Lower Low Water (MLLW) with 1 foot over dredge. The recommendations must be approved by three agencies: the Army Corps of Engineers, the California Coastal Commission and the Southern California Regional Water Quality Board. The city is working to have the new RGP in place by April 2014. A key component to the RGP is the incorporation of the final draft Eelgrass Protection and Mitigation Plan for Shallow Waters in Lower Newport Beach (also called the “Newport Specific Plan”). The seagrass has been designated as an Essential Fish Habitat (EFH) and a Habitat Area of Particular Concern (HAPC). Those designations have led the National Marine Fisheries Service to look for ways to preserve and protect the plant from human interference. Although it is independent of the RGP-54 permit, the program could be used for both RGP-54 and non-RGP-54 projects. Harbor Resources manager Chris Miller and West met with key agencies the week of Feb. 11 to discuss the Newport Specific Plan. One of the recommendations Harbor Resources staff plans to abide by is to provide a more precise definition of the zones within the harbor that will be within the plan. Zones are characterized as transitional, stable and non-vegetated zones. The Newport Specific Plan would be used as an alternative approach to the statewide mitigation plan, which marinas and harbors currently follow. The Southern California Eelgrass Mitigation Plan (SCEMP) allows for a 1.2:1 ratio of new eelgrass to be planted in place of damaged eelgrass, following dredging or other projects that impact the seagrass. Newport’s plan would work off a “threshold” table that would identify a specific amount of eelgrass in Newport Harbor’s shoreline and dock area that would be deemed healthy or acceptable for the harbor. Once a healthy or sustainable amount of eelgrass has been identified for the harbor, dredging and dock replacement activities could occur without mitigation measures, as long as the “threshold” level of eelgrass maintained in the harbor was not lowered. For example, Tier 2 states 15.45 acres of eelgrass will allow for 0.75 acre/year impact. The Newport Specific Plan approach makes a huge difference to individual dock owners because it allows for some temporary impact on individual locations of eelgrass, while the city maintains the overall responsibility for the health and preservation of the larger eelgrass populations in the harbor, West explained. Harbor Resources officials and the city’s Harbor Commission hope the Newport Specific Plan can be incorporated into the new California Eelgrass Mitigation Policy, which is being modeled after the SCEMP for protecting eelgrass habitats in marinas and harbors throughout the region. The California Eelgrass Mitigation Policy would replace the existing SCEMP and require varying mitigation ratios, based on the plant’s past transplant success in a given area. Under the proposed plan for Southern California, the 1.2:1 eelgrass replacement ratio would be increased to 1.38:1. The new number is based on studies over the past 25 years showing eelgrass mitigation efforts to have a failure rate (to establish a successful eelgrass habitat) of 13 percent. The new 1.38 to 1 ratio is aimed to meet the 1.2:1 ratio goal originally set in the Southern California plan. The new plan is expected to be approved in 2014. 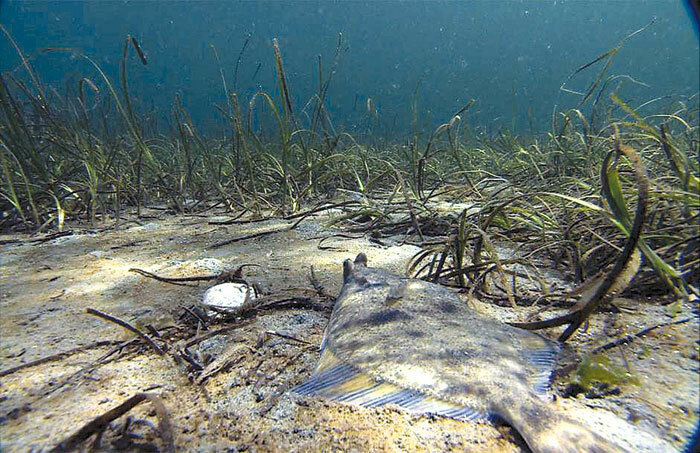 The Newport Harbor Specific eelgrass plan has conceptual approval from the National Marine Fisheries Service and the State Water Resources Control Board. Before it gets implemented, the plan must also be approved by the California Coastal Commission. In other news, the city council also approved having city staff seek consent from the State Lands Commission to create a Newport Harbor Capital Fund. According to staff reports, the fund would capture the incremental increases from the recent tidelands rent adjustments to finance capital improvements and maintenance activities within the harbor. The fund would pay for specific capital improvements in the harbor, such as dredging and seawall repair. In December, the council voted 5-1 in favor of increasing residential dock fees, with Councilwoman Leslie Daigle casting the lone dissenting vote. The decision changed the annual $100 residential pier fee to a 52.5 cents per square foot charge, leading to a new annual charge for a majority of piers falling in the $300 to $700 range. Owners of larger residential piers will pay as much as $3,000 per year. City staff members will return to the city council when and if the State Lands Commission approves creation of the harbor fund, with a resolution and council policy formalizing the fund’s revenue and expenditure allocations.